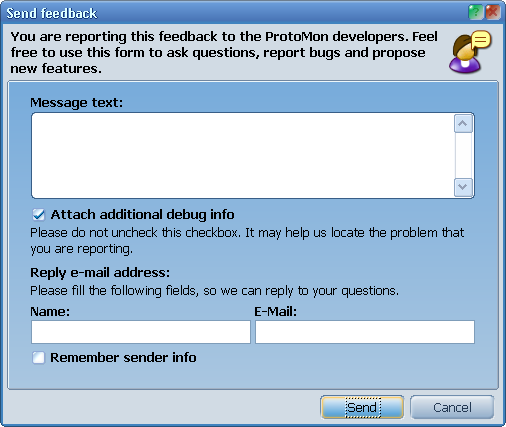 To send a feedback, select the Help - Send Feedback menu item. The following dialog will appear. You can use it to send any questions regarding ProtoMon. Please, specify you name and e-mail address, so we can reply to you.